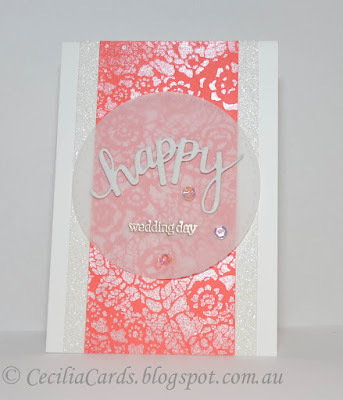 I started making this card a few weeks ago after being (yet again) inspired by Jennifer McGuire. She shared a technique whereby a stencil was sprayed over a Distress Inked background to create a two-toned effect. 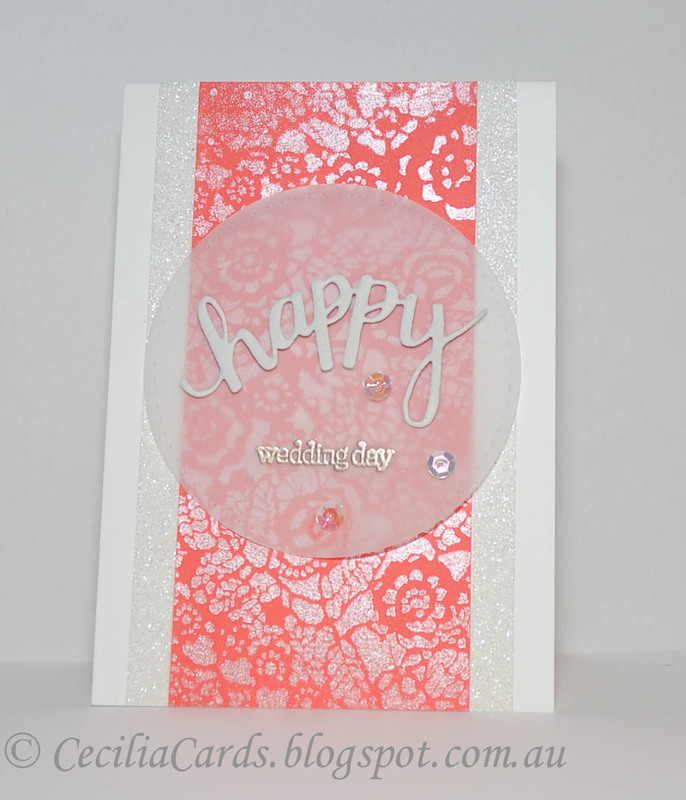 I used Abandoned Coral and Perfect Pearls mist to create the background (Tim Holtz Doily Layering Stencil). The rest were from the Hero Arts Happy Stamp and Cut kit. 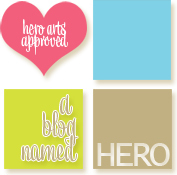 I'm adding this to the A Bit of Sparkle challenge at A Blog Named Hero. Thanks for dropping by!